Medical - Microsurgery | KICHIETSU BUSSAN CO.,LTD. Microsurgery is a general term for surgery requiring operation using microscope. It involves vesselanastomosis and nerves (typically 1 mm in diameter) which have allowed transfer of tissue from one part of the body to another and re-attachment of severed parts. Microsurgery is used mostly in plastic surgery. Bear Medic Corporation develops numerous microsurgical suture needles, vessel clips, cardiac suture needles and suture needles for plastic and ophthalmic surgery. Tissue reconstruction due to head and neck malignancy, breast reconstruction, facial graft. These tissue transfer involves attachment ofvessels. Bear Medic Disposable Micro Vascular Clips are used to occlude vessels during suturing. Free flap is conducted mostly on oncology. Plasticsurgeon removes tumor part and transfer tissue from other part of body. In this case, vessel attachment of one tissue to another is required. When fiinger(s) is cut out, it requires attachment. In this case, separatted vessells require re-attachment surgery. Hand surgery is conductted by plastic surgeon or orthopedic surgeon. Bear Medic biggest clip(TKL-1-120) is used for Cardiac surgery, coronary artery bypass grafting(CABG). 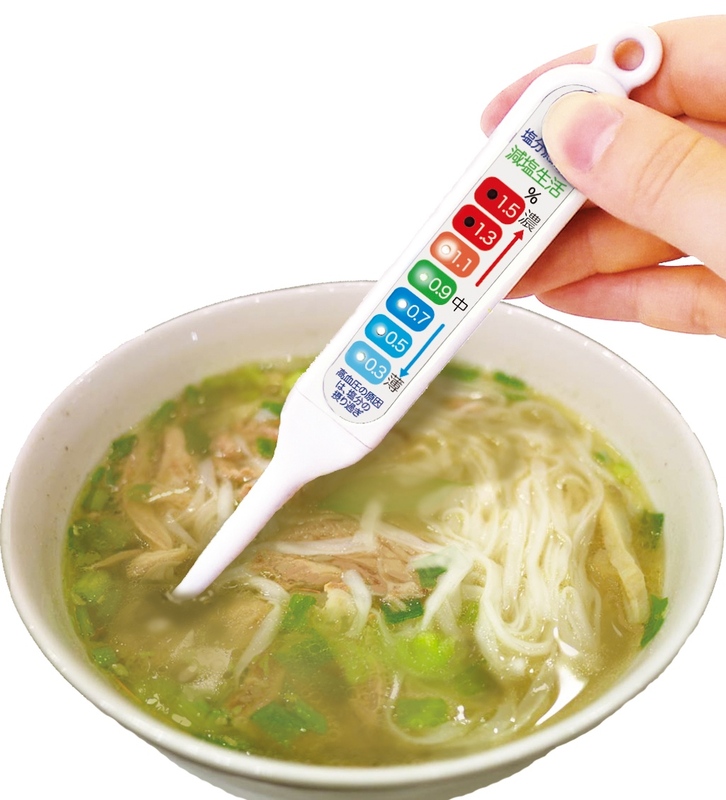 TKL-1-120 is used for vessel occlusion. CABG is conducted by cardiac surgeon. 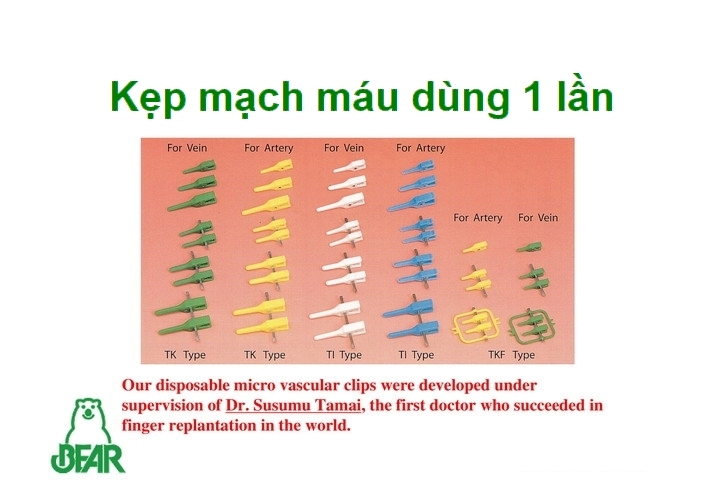 Bear Medic middle size and largest clip(TKM and TKL) are used for shunt operation of dialysis patient. Shunt operation is to connect vein to artery of the upper part of wrist by way of suturing before dialysis is conducted. 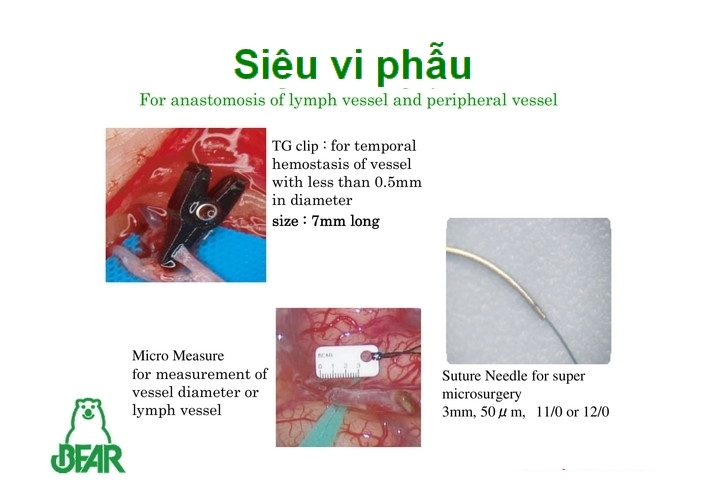 TKM and TKL clips are used to occlude vein and artery for hemostasis during shunt operation.